Emotions can be powerful motivators to do, or not do, something. So it’s not surprising that using emotions in marketing can yield equally powerful results. This post takes a look at the most common emotions in marketing and shares a few ideas for introducing them into your own marketing activities. The primary emotional factors in marketing are fear, guilt, pride, greed and love. 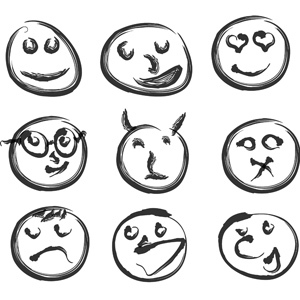 Here is a look at how each emotion can play into marketing. This is a big one in emotional marketing, and can be based on a fear of the bad that can happen if you don’t act in a certain way. An example is a hosting company that may try to sell you a dedicated server account over the less expensive shared server account by listing all of the potential problems that can result if your site is hosted on a server with other sites. While marketing can be effective when based on creating feelings of guilt for not doing something, another effective route is showing how to remove guilt. An example is a working parent who has little time to prepare home-cooked meals, but sees an ad that states purchasing ABC Frozen Food that is packed with wholesome and nutritious ingredients is just like cooking yourself. Marketing that uses pride as an action-enticing emotion is focused on making the consumer want to use or purchase something because of the sense of power, accomplishment, envy or respect they feel it will generate. An example is a private, exclusive membership that is costly, but will give the purchaser notoriety and can be used as a powerful marketing element on its own, once purchased. We have all seen marketing that focuses on appealing to a greedy emotion, and it’s very effective. An example is a “package” price for a group of products, or a list of over-the-top bonuses with your purchase. The claim of a specific product or service helping you make more money and become more successful is another example. Love in marketing is sometimes underplayed, but a good example is products and services that are presented as the top of the line, the best options for providing the very best for the loved ones in your life or even yourself. Here are seven creative ways to use emotional factors in marketing. Use these as a jumping point to think about different ways you can introduce more emotions in your marketing activities. Now that you’re thinking in terms of emotions, and all of the ways you can use emotional benefits to sway your prospects, remember that it’s important to keep honesty and integrity front and center. As powerful as emotional factors in marketing can be, falling short when it comes to genuine copy and realistic claims can be disastrous. What are some ways you’ve used emotional factors in marketing?